Now...A2A2 Beta-casein and BB Kappa-casein...both are the best!! JAMAICA's full sister, Jewel VG(89)@2yr.EX Mammary! Jewel had a milking dtr, Montoro Jem and a dtr Montoro Jenna born 12/10/06, both by MONTORO. Jewelquest, sired by CONQUEST, has a beautiful Jetway (Premier sire at World Dairy Expo last seven years )dtr, Flatness Intl Jetquest , now owned by Kevin Shearer. Jewelquest finished with 2-02 2x 365d 22,627m 910f 753P , had a top milking dtr. by MONTORO. Montoro Judy, born 10/11/06. Sire Stack..Collection, then EX(93) 3E Pete Rose dtr Jill, EX Westley ,and the EX(91) 5E Simon Peggy! Their sire was COLLECTION EX(93) Superior Sire. Their full sister, Jasmine ET VG(85)VG(87) Mam. 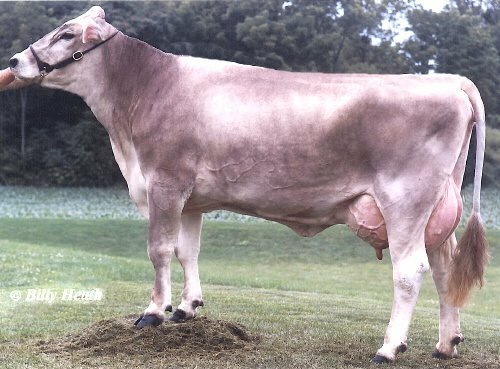 topped the Elkhorn Spring Sale at $4,700 during April, 2001, sold to Elizabeth Shearer of Sandy Lake, PA. She was 3rd Sr. Heifer Calf and 1st Pennsylvania at the All-American Dairy Show in 2001and 5th and 1st PA. at the 2002 All-American. 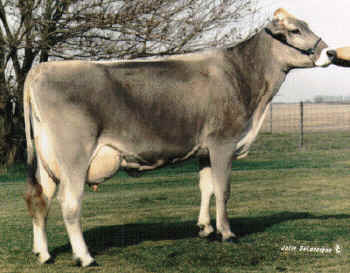 Their full brother JILLINGER was All-American Bull Calf in 2002, he was also owned by Elizabeth Shearer. COLLECTION was one of the breed's best all-around proven sires. He was a former No. 1 Type sire in the breed! On linear traits, COLLECTION was No. 1 for Stature, Strength, and Rear Udder Width, No. 2 for Dairy Form and Thurl Width. 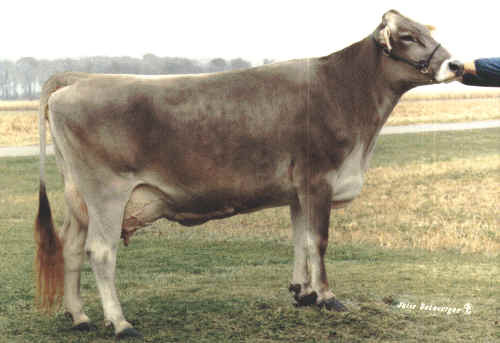 His EX(93) high-component dam was Reserve All-American Aged Cow in 1997. One of the best of the Past Milk & Type Proven Sires,. Sire of the breeds All Time Highest Selling cow, $86,000! 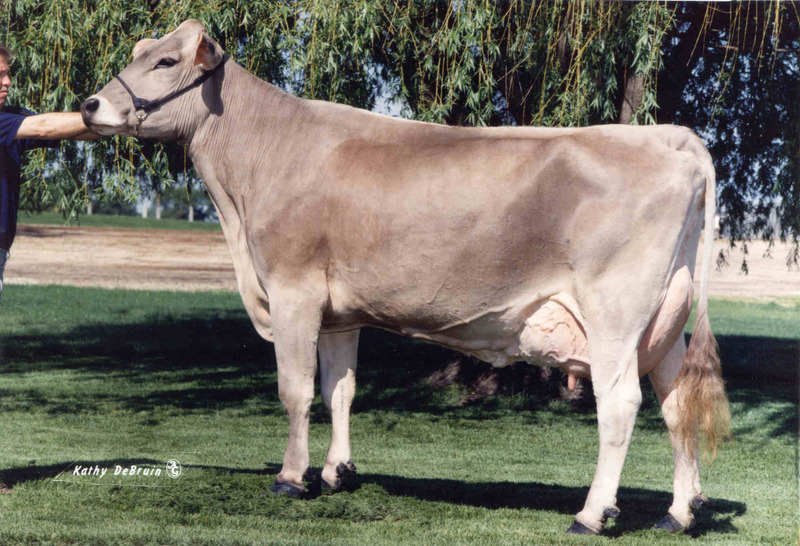 JAMAICA & JILLION'S dam Jill, was the All-Breed World Protein Record holder, and former No. 1 Protein index cow. Jill is currently ...OVER 20 years later...the World Record holder for Milk and Protein for both 305 and 365 days, under 2-years-old. She was voted No. 7 in the Miss Millennium contest, and was the youngest and highest protein cow in that contest. JILL's granddam, Priscilla, was voted No. 2. You can expect extremely high production potential, early maturity, combined with exceptional longevity from JAMAICA & JILLION. Jill's dam is over 10 years old, and Jill's 5E(91) gr.dam lived at to be over 17 yra of age. Jill is the breed's only cow ever.....with her 1st 4 records over 30,000 milk ! 3E, EX(93), EX(94) Mam. Fifth Generation Excellent! Roll Mead TA JILL-ET, 3E(93) 3E(94) Mam.! Lifetime over 200,00 lbs milk and 15,000 lbs fat and protein combined! Jill's 365 day 1501 lbs. 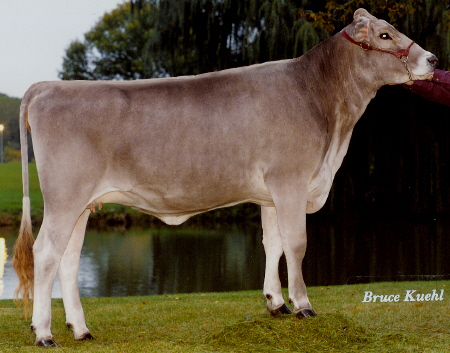 Protein record is the current...now over 20 years .....Brown swiss...Protein Record at 1-11. Superior Brood Cow, Excellent Feet & Legs, & MammarySystem, 4thGen EX ! Arnola Peggy Priscilla 5E91-Elite 3rd Gen. EXCELLENT, Superior Brood Cow. Copyright 2004 -19 Flatness International, Inc.